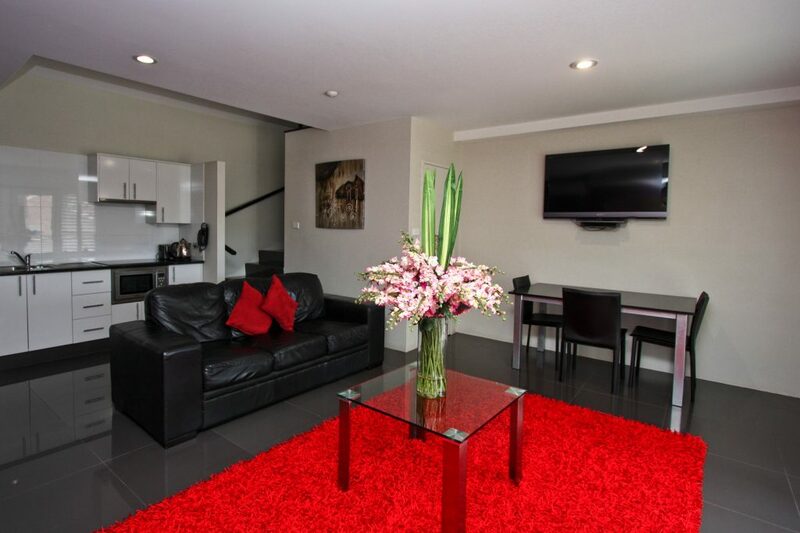 Our two bedroom apartments have been completely refurbished. 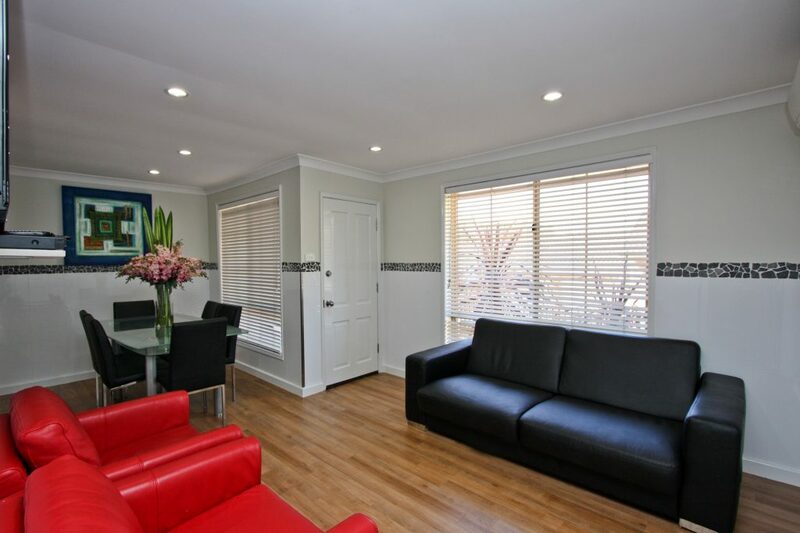 These apartments are ideal for the families, business or leisure guests visiting Newcastle or the Hunter Region. 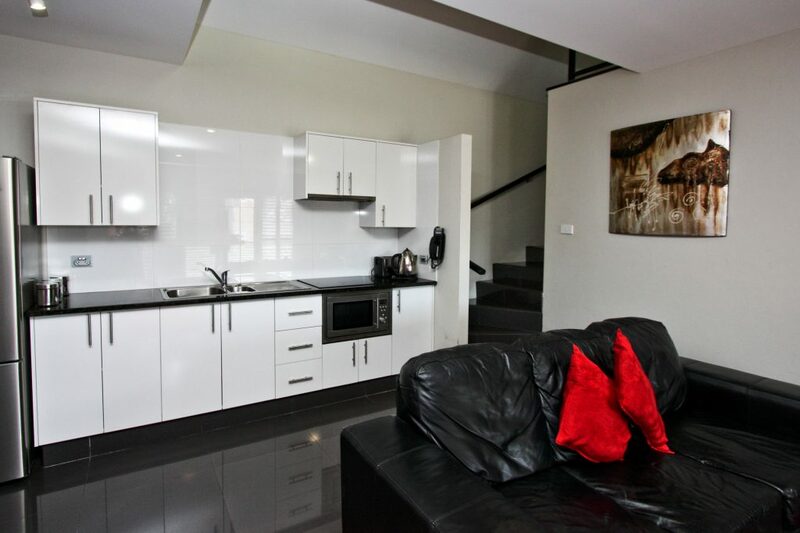 You are able to relax in your two bedroom fully furnished and self contained apartment. Each bedroom is able to be set-up as either a king bed or two singles beds. 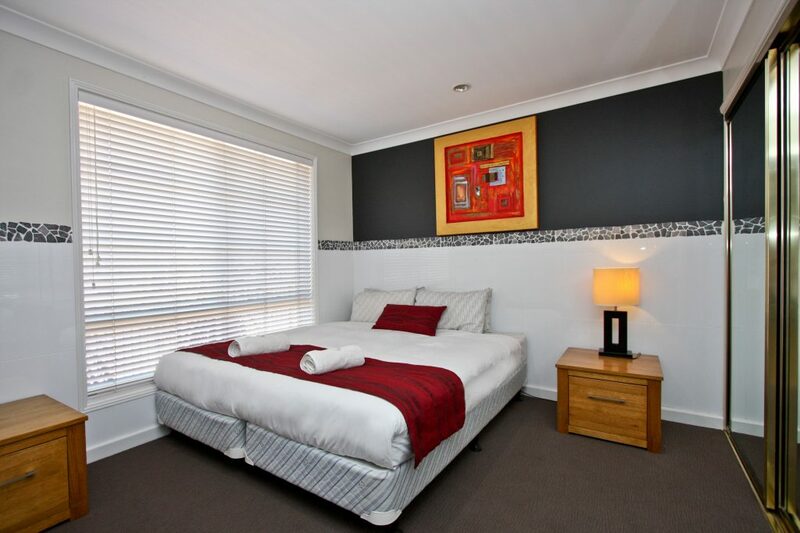 Additional guests are able to use the sofa bed located in the lounge room, charges apply for sofa bed use. The apartments come with a fully equipped kitchen, full size fridge, split system air conditioning, shower and large television. 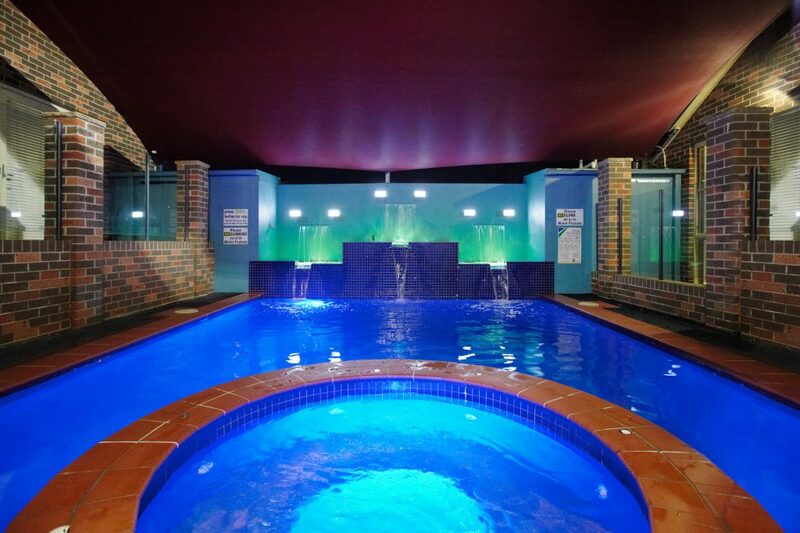 Take time out and relax in your luxurious spa bath. 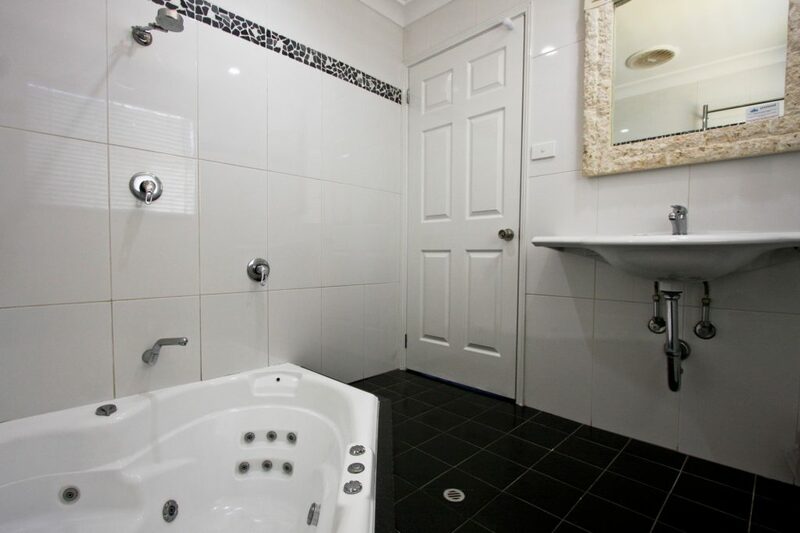 Our two bedroom spa apartments have some variation between them. There are two overall styles and layouts. Both configurations are shown below. To check availability across all two bedroom apartments click the button above and proceed with your booking. Although we cannot guarantee that any particular small studio room will be available for your stay you are welcome to nominate your preference in the Res Note field when you make your booking and we will do our best to assign the room you prefer or a similar replacement. There are three apartments in this style. They have a loft bedroom and two sofa beds in the living room. There are three apartments in this style. They all have two fully separate bedrooms. 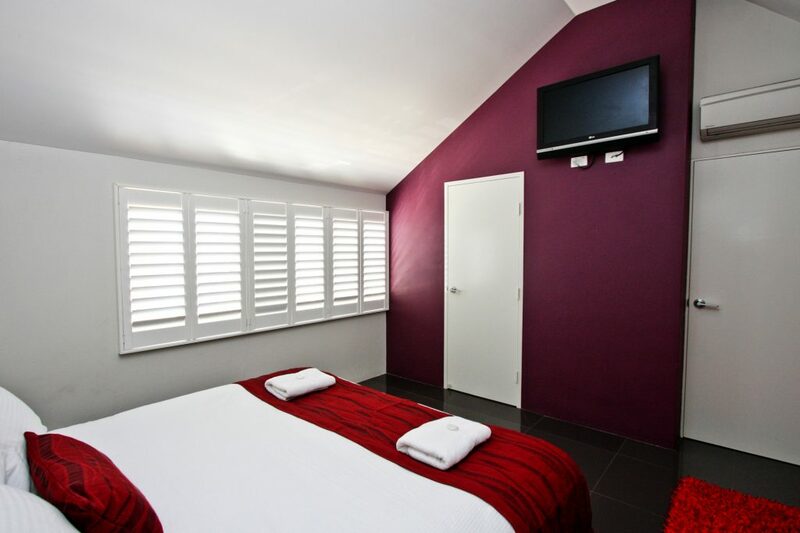 We have a range of other sizes and styles of accommodation available. There are two bedroom apartments, three bedroom apartments and home style apartments all of which can host at least 4 guests in comfort. 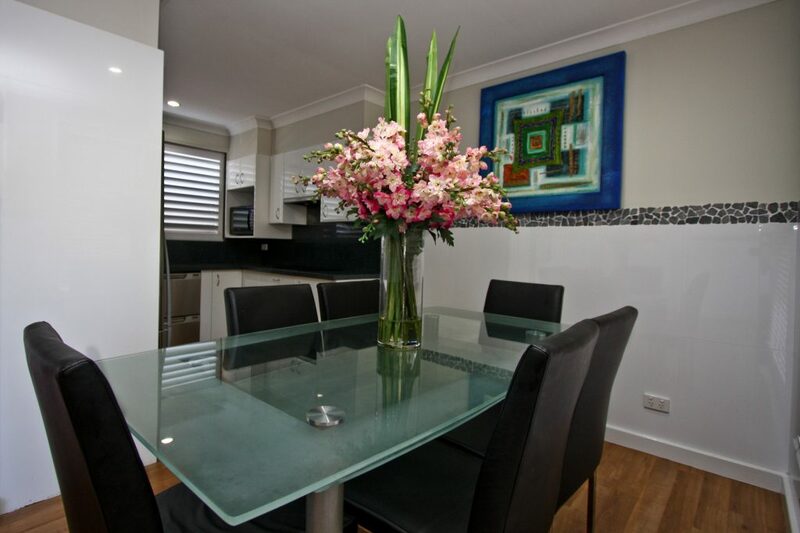 Check our accommodation page for details of other apartment types. 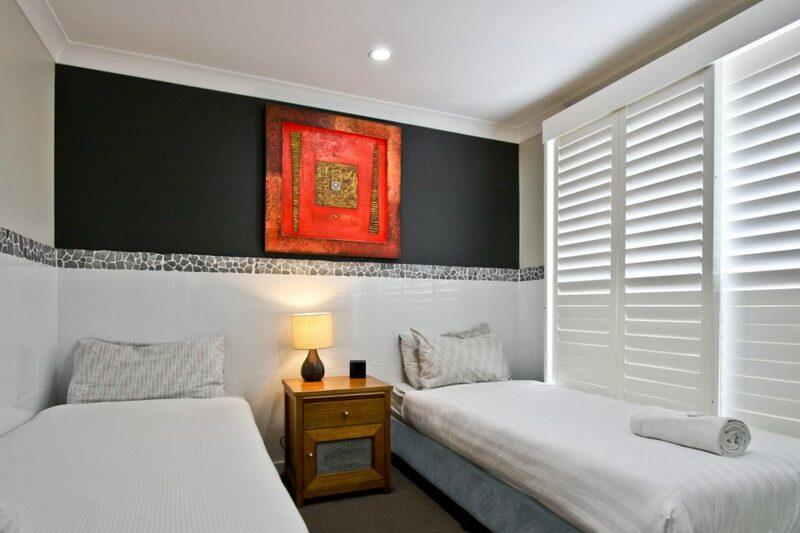 You can book for a short or long stay for your holiday or work. 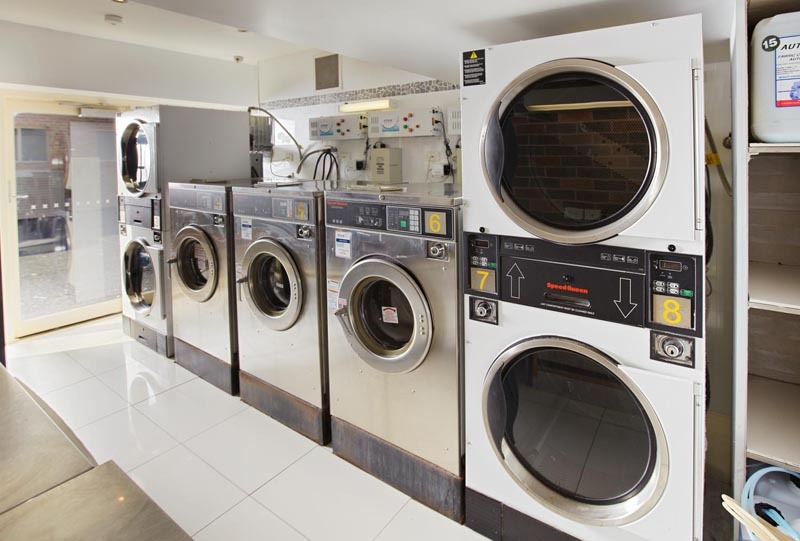 Guest facilities include pool, barbeque area and laundry. 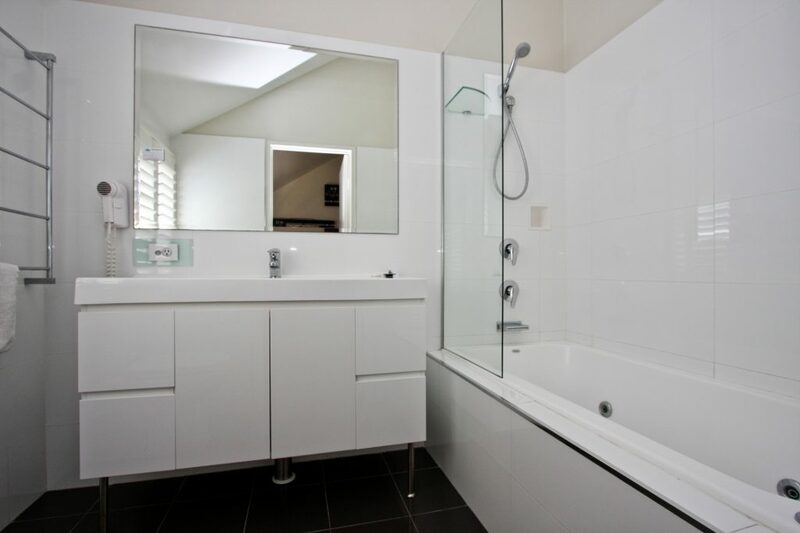 All our two bedroom spa apartments are tastefully furnished, clean and neatly presented. If you have any questions please call reception on 02 49 555 888. 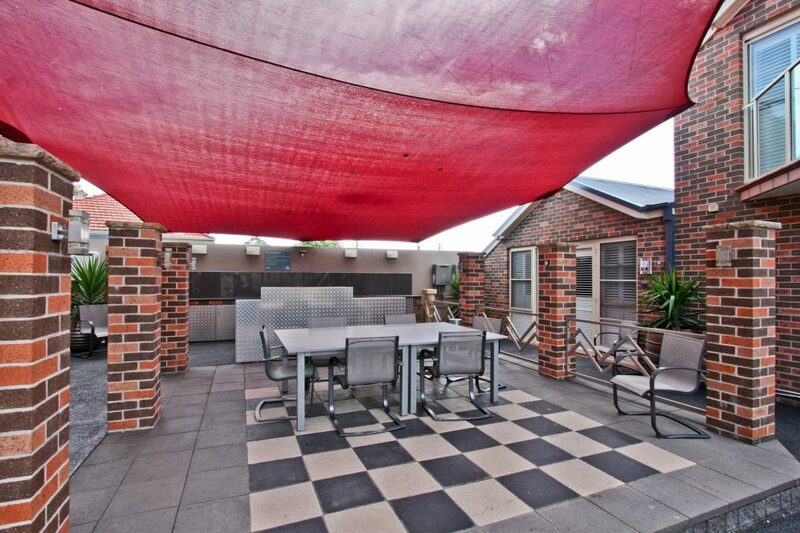 Jesmond Executive Villas is part of Newcastle Executive Apartments. Every day we are working diligently to make our guests comfortable, relaxed and delighted. We have a range of alternate locations such as Newcastle City, Honeysuckle, Hamilton, Wallsend, Charlestown, Belmont and Cardiff. 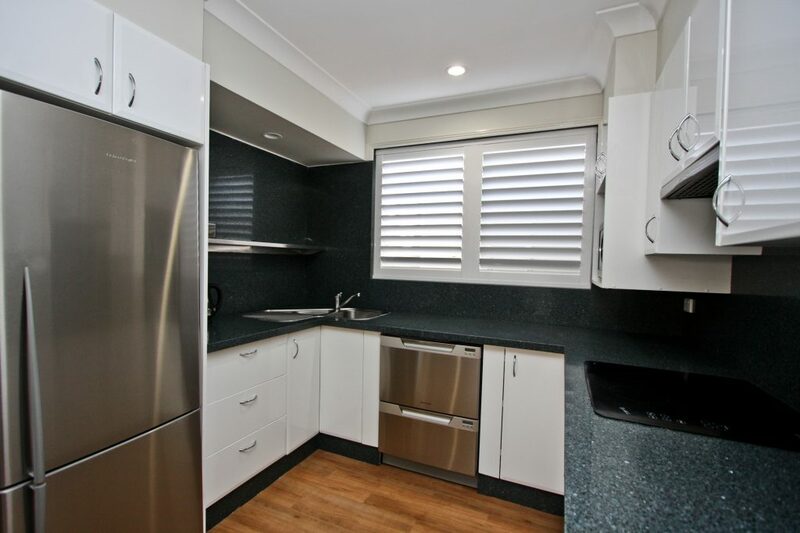 Find out more at www.newcastleapartments.com.au.